Lancia 188A8000, 188A9000, 199A2000. PISTÓN OPEL 1.3 JTD 16V. fíat Doblo, Punto, Idea, Palio, Panda II, Punto ( 1,3 JTD 16V). Fabricante: pistón-Schmidt / Mahle / Nüral (Dependiendo availablity). Pistón Std Lancia Musa 350 (Año Fab. 2004-2012) Limusina de Gran Capacidad 1.3. 1 x Pistón sin tornillos Zyl.Bohr. Fiat Lancia 1.3 D Multijet, OPEL 1.3 CDTI. Produkttyp Kolben STD. con cut-out/recorte de inyector de aceite. 1 x Kolben ohne Bolzen Zyl.Bohr. Original Fiat Kolben von Nüral. Fiat Lancia 1,3 D Multijet, OPEL 1,3 CDTI. Länge 62.430 mm; Bolzen-Ø 23 mm; Bolzenlänge 55 mm; mit Kolbenringträger; mit Kühlkanal;. Auto-Tuning & Styling. The faster, safer way to send money. LANCIA MUSA (350_) MPV 1.4 78 HP 350 A1.000 2005.09-2012.09. LANCIA MUSA (350_) MPV 1.4 LPG 78 HP 350 A1.000 2010.11-2012.09. FIAT QUBO (225_) MPV 1.4 NATURAL POWER 78 HP 350 A1.000 2009.10-. PIEZAS AUTOMOTRICES DE ALTA CALIDAD. Busques lo que busques, tenemos la solución perfecta. SUZUKI WAGON R (MM) MPV 1.3 DDIS (RB 413D) 70 CV Z13DT 2003.09-. SUZUKI SWIFT III (MZ, EZ) LIFTBACK 1.3 DDIS (RS 413D) 69 CV Z13DT 2005.08-. Busques lo que busques, tenemos la solución perfecta. SUZUKI WAGON R (MM) MPV 1.3 DDIS (RB 413D) 70 CV Z13DT 2003.09-. SUZUKI SWIFT III (MZ, EZ) LIFTBACK 1.3 DDIS (RS 413D) 69 CV Z13DT 2005.08-. SUZUKI IGNIS II (MH) AUTOMóVIL TODOTERRENO 1.3 DDIS (RM413D) 70 CV Z13DT 2003.09-. Busques lo que busques, tenemos la solución perfecta. LANCIA MUSA (350_) MPV 1.4 78 CV 350 A1.000 2005.09-2012.09. LANCIA MUSA (350_) MPV 1.4 LPG 78 CV 350 A1.000 2010.11-2012.09. FIAT QUBO (225_) MPV 1.4 78 CV 350 A1.000 2009.10-. Busques lo que busques, tenemos la solución perfecta. OPEL CORSA D Van CAJA 1.3 CDTI 90 CV Z 13 DTH 2006.07-. OPEL CORSA D LIFTBACK 1.3 CDTI 90 CV Z 13 DTH 2006.07-. OPEL ASTRA H sedan (L69) SEDAN 1.3 CDTI 90 CV Z 13 DTH 2007.02-2010.10. Fabricante de piezas:MAHLE 010 04 N0-4. PIEZAS AUTOMOTRICES DE ALTA CALIDAD. Busques lo que busques, tenemos la solución perfecta. SUZUKI WAGON R (MM) MPV 1.3 DDIS (RB 413D) 70 CV Z13DT 2003.09-. SUZUKI SWIFT III (MZ, EZ) LIFTBACK 1.3 DDIS (RS 413D) 69 CV Z13DT 2005.08-. Fabricante de piezas:MAHLE 010 20 N0-4. PIEZAS AUTOMOTRICES DE ALTA CALIDAD. Busques lo que busques, tenemos la solución perfecta. OPEL COMBO Van / kombi (X12) VAN / FURGON 1.4 95 CV A 14 FP 2012.02-. 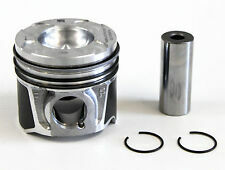 Cylinder Bore [mm]: - 72,00. If the item is used, we are unable to accept the goods back. MAINLAND -24 HRS. (incl: NORWAY & SWITZERLAND). Standard Size [STD]: -. Valve pocket depth 1 [mm]: - 2,050. Recess Depth 1 [mm]: - 4,750. LANCIA MUSA (350) 1.9 D Multijet MPV Diesel 10/2004 on FWD 8 101 74. LANCIA THESIS (841AX) 2.4 JTD Saloon Diesel 05/2003 07/2009 FWD 20 175 129. LANCIA THESIS (841AX) 2.4 JTD Saloon Diesel 09/2003 07/2009 FWD 20 163 120. Engine Code: Z13DT. 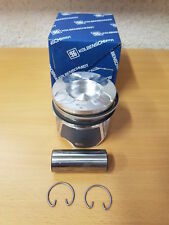 Function Piston. OPEL CORSA C (X01) 1.3 CDTI (F08, F68) Hatchback Diesel 06/2003 12/2009 FWD 16 70 51. OPEL CORSA C Box (X01) 1.3 CDTI 16V (F08, W5L) Box Diesel 08/2005 on FWD 16 69 51. Recess Depth 1 [mm]: 4.750. Valve pocket depth 1 [mm]: 2.050. FIAT FIORINO NADWOZIE PELNE / KOMBI (225) 1.4 Natural Power. FIAT GRE PUNTO (199) 1.4 Natural Power. FIAT PA (169) 1.4 Natural Power. FIAT PA VAN (169) 1.4 Natural Power. PIEZAS AUTOMOTRICES DE ALTA CALIDAD. Busques lo que busques, tenemos la solución perfecta. LANCIA MUSA (350_) MPV 1.4 78 CV 350 A1.000 2005.09-2012.09. LANCIA MUSA (350_) MPV 1.4 LPG 78 CV 350 A1.000 2010.11-2012.09. Cylinder Bore [mm]: - 70,00. Machined: - with cut-out for oil jet. If the item is used, we are unable to accept the goods back. MAINLAND -24 HRS. (incl: NORWAY & SWITZERLAND). Recess Depth 1 [mm]: - 12,700. PIEZAS AUTOMOTRICES DE ALTA CALIDAD. Busques lo que busques, tenemos la solución perfecta. PEUGEOT BIPPER Tepee FURGON 1.3 HDI 75 75 CV 199 A9.000, FHZ (F13DTE5) 2010.10-. PEUGEOT BIPPER (AA_) CAJA 1.3 HDI 75 75 CV FHZ (F13DTE5), 199 A9.000 2010.10-. Part Manufacturer:GOETZE 0843680000. BODY STYLE. WE ARE OPENED MON. FIAT PANDA Van (169_) BOX 1.4 NATURAL POWER 78 HP 350 A1.000 2009.10-. FIAT PUNTO Van (199_) BOX 1.4 NATURAL POWER 78 HP 350 A1.000 2009.03-. 1.3 CDTİ Corsa, combo, Agila Z 1.3 DT. 1 x piston Zyl.Bohr. Desarrollado por Supremo. ¡Cómpralo ya! Belt Tensioner Wheels & Bkts. Suspension Ball Joints. Windscreen Wiper Blades. Rear Lights. Front Exhausts Cats. Recess Depth 1 [mm]: 12.4. Estimates can be provided beforehand but prices may differ upon ordering.